In the era we are living now, I could say technology have already taken over the world. High-tech gadgets, appliances, are now part of our daily living. One of the greatest gift of technology to us is the computer, but do you know the people behind its development? Here are you'll find what I consider as historic pictures of the people we owe our PC's, laptops, iPhones, email accounts, etc. You can also find the simplicity of how a complex company came into life. 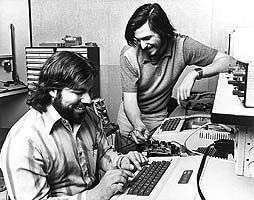 Steve Jobs and Steve Wozniak in March 1, 1976 wanted to start a computer company and they needed a name to register it as incorporation. According to Wozniak, both he and Steve were driving along the Highway 85 between Palo Alto and Los Altos. 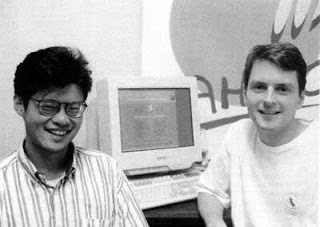 Steve Jobs came up with a name “Apple Computers” during that trip. Steve Jobs was involved with a group of his friends in running a community type of farm in Oregon. He was doing this part time, while working in the Bay Area of San Francisco. Wozniak thinks he might have got this name idea either from the farm or because of his music tastes, Apple Records, which was quiet, popular with Beatles. The photo was taken December 7, 1978 in Albuquerque, New Mexico before the company moved its offices to Washington. 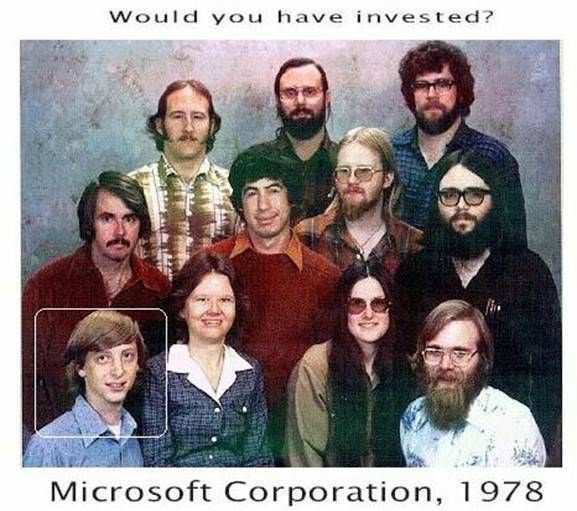 The people in the photo are (from left to right, starting at the top) Steve Wood, Bob Wallace, Jim Lane, Bob O' Rear, Bob Greenberg, Marc McDonald, Gordon Letwin, Bill Gates, Andrea Lewis, Marla Wood, and Paul Allen. Would you have invested your money to this scruffy looking hippies if you were a businessman during their days? Bill Gates is on set. 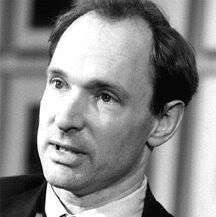 Tim Berners-Lee's mother and father were both mathematicians who were part of the team that programmed Manchester University's Mark I, the world's first commercial, stored program computer, sold by Feranti Ltd. One day when he was in high school Berners-Lee found his dad writing a speech on computers for Basil de Ferranti. Father and son talked about how the human brain has a unique advantage over computers, since it can connect concepts that aren't already associated. For example, if you are walking and see a nice tree, you might think about how cool the park is under the trees, and then think of your backyard, and then decide to plant a tree for shade behind your house. Young Berners-Lee was left with a powerful impression of the potential for computers to be able to link any two pieces of previously unrelated information. However, Filo and Yang insist they selected the name because they liked the general definition of a yahoo – “rude, unsophisticated, uncouth.” Yahoo! itself first resided on Yang’s student workstation, “Akebono,” while the software was lodged on Filo’s computer, “Konishiki” – both named after legendary sumo wrestlers. 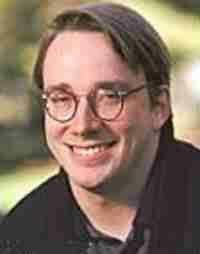 Linus Torvalds of Linux Operating System Linus Torvalds originally used the Minix OS on his system which he replaced by his OS. Hence the working name was Linux (Linus' Minix). He thought the name to be too egotistical and planned to name it Freax (free + freak + x). His friend Ari Lemmk encouraged Linus to upload it to a network so it could be easily downloaded. Ari gave Linus a directory called linux on his FTP server, as he did not like the name Freax. Linus like that directory name and he kept the name of his new OS to LINUX. 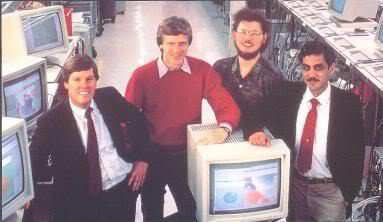 Andreas Bechtolsheim , Bill Joy, Scott Mc Nealy and Vinod Khosla of SUN(StanfordUniversity Network) MicroSystems. Founded by four StanfordUniversity buddies. Andreas Bechtolsheim built a microcomputer; Vinod Khosla recruited him; Scott McNealy to manufacture computers based on it; and Bill Joy to develop a UNIX-based OS for the computer. SUN is the acronym for Stanford University Network. Gordon Moore(L) and Bob Noyce(R) ,founders of Intel. Bob Noyce and Gordon Moore wanted to name their new company 'Moore Noyce'. But that was already trademarked by a hotel chain. So they had to settle for an acronym of INTegrated ELectronics... INTEL. Google began in January 1996 as a research project by Larry Page and Sergey Brin when they were both PhD students at Stanford University in California. Both wanted a better search engine system that analysed the relationships between websites. The technology used in determining website’s relevance was called “PageRank”. Page and Brin originally nicknamed their new search engine “BackRub”, because the system checked backlinks to estimate the importance of a site. They original name was “Googol” which in fact is a very huge number – 10100, that is, the digit 1 followed by one hundred zeros. Googol was actually invented in 1938 by 9-year-old Milton Sirotta (1929-1981), nephew of American mathematician Edward Kasner. 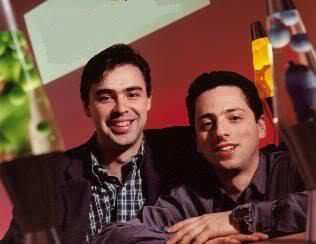 After founders Sergey Brin and Larry Page presented their project to an angel investor, they received a cheque made out to 'Google'! 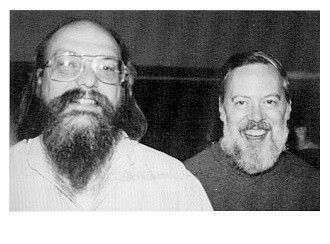 Ken Thompson (L)and Dennis Ritchie(R) ,creators of UNIX. Dennis Ritchie improved on the B programming language and called it 'New B'. B was created by Ken Thompson as a revision of the Bon programming language (named after his wife Bonnie). 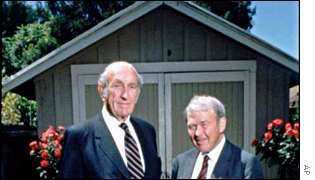 He later called it C.
Bill Hewlett(L) and Dave Packard(R) of HP. Behind them in the picture is the famous HP Garage. Bill Hewlett and Dave Packard tossed a coin to decide whether the company they founded would be called Hewlett-Packard or Packard-Hewlett. And the winner was NOT Bill... the winner was Dave. Posted in Apple, C++, Google, history, HP, INTEL, Linux, Microsoft, pictures, rare, technology, UNIX, Yahoo . Bookmark the permalink. RSS feed for this post.